The excitement of Thanksgiving has reached the Mercy Multiplied homes. Each year is steeped in tradition and fun as the Mercy residents spend their Thanksgiving holiday surrounded by their Mercy sisters and staff. The preparation begins several days before “the big day” with large shopping lists and the opportunity for residents to help with the Thanksgiving feast. Residents that want to assist in dinner and decoration preparation sign up in advance and, with the supervision of staff, help prepare the meal and transform the dining room into a beautiful banquet area for Thanksgiving dinner. Gathering around the table to share thankfulness and a meal all together! The staff works together to ensure that the entire day is full and fun. As the residents are away from their friends and families, staff is passionate about creating an atmosphere of unity and love. In addition to a delicious meal, the residents partake in activities outside their normal routine. The day is full of games and competitions, watching movies, the Thanksgiving Day parade, football, eating special snacks, and spending time with one another relaxing. Each resident has opportunities throughout the day to call home and connect with family and friends. Fully understanding the reality of homesickness, staff takes special care to fill the day with holiday excitement, space for reflection, and community. 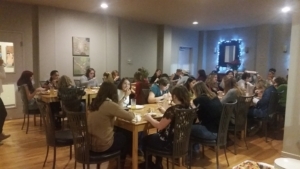 A favorite part of the day is the time spent sharing “thankfulness” around the dinner tables, usually separated, but on this day, pushed into one long table for Thanksgiving! The residents and staff each share something they are thankful for, and the time is very impactful for all involved. With all the preparation and care in the details of the day, Mercy staff hope to aid in bring redemption to the holidays. Many of the young women in our program have painful past experiences around the holidays, and this time of year is not necessarily anticipated, but rather dreaded. 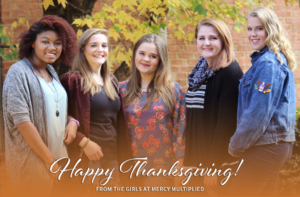 Each year, Thanksgiving brings a bit of unexpected hope and redemption to many of the residents in our Mercy homes! 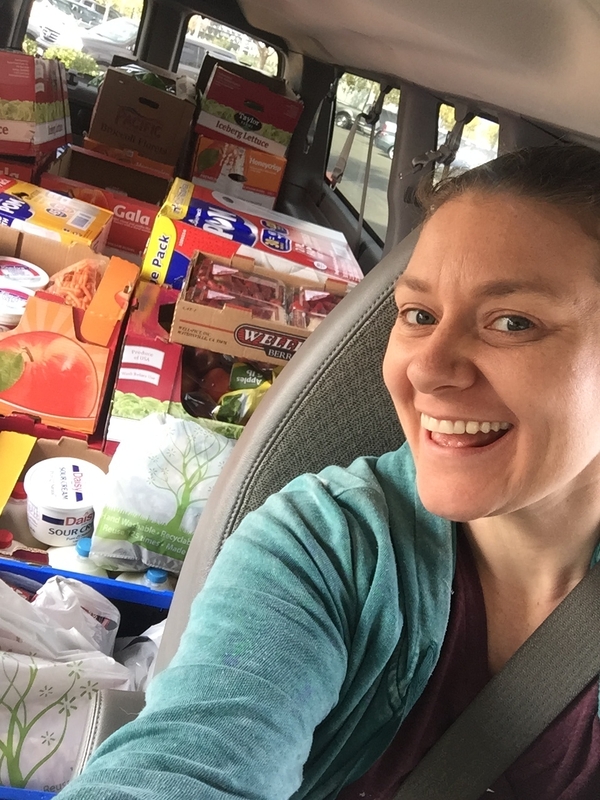 Nutrition Manager, Mistylena and the large Thanksgiving grocery trip! Learn more about Mercy’s Residential Program!